Following the unacceptable levels of violence recently witnessed in the Gaza Strip, Luxembourg's foreign policy chief, Jean Asselborn, has decided to summon the Ambassador of Israel to the Ministry of Foreign and European Affairs in Luxembourg. In the context of the Salisbury attack, the Luxembourg Government stands in full solidarity with the United Kingdom in the face of this serious challenge to our common security. 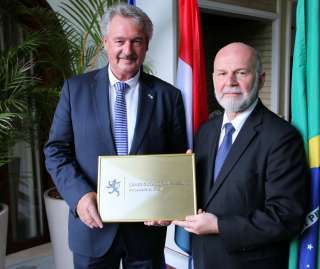 On 1 March 2018, the Minister of Foreign and European Affairs of Luxembourg, Jean Asselborn, went to Brasilia to officially inaugurate the Embassy of the Grand Duchy of Luxembourg in Brazil.